Expand your vocabulary in less than 60 minutes! Want to be a more eloquent speaker? Be able to find the right words for every occasion - INSTANTLY? Just sit back and listen as the Vocabulary Genius recording gives you instant access to words and their meanings.
? Expand your vocabulary in MINUTES! 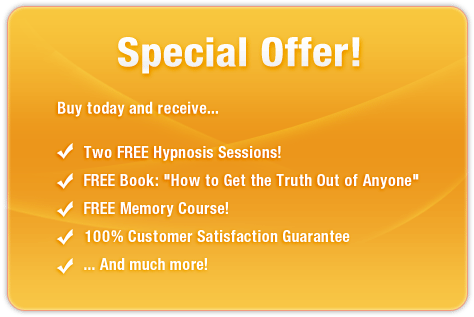 Using the latest in subliminal messaging technology, the Vocabulary Genius session will deliver thousands of positive, life-affirming messages directly to your subconscious - helping you express your thoughts clearly and instantly. And it?s 100% risk-free! If you?re not completely satisfied with your advanced vocabulary, let us know within 90 days and we?ll refund your order in full. Don?t be lost for words! 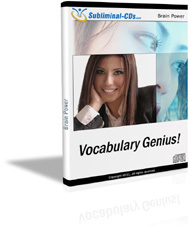 Purchase Vocabulary Genius TODAY and benefit from this awesome technology right away!